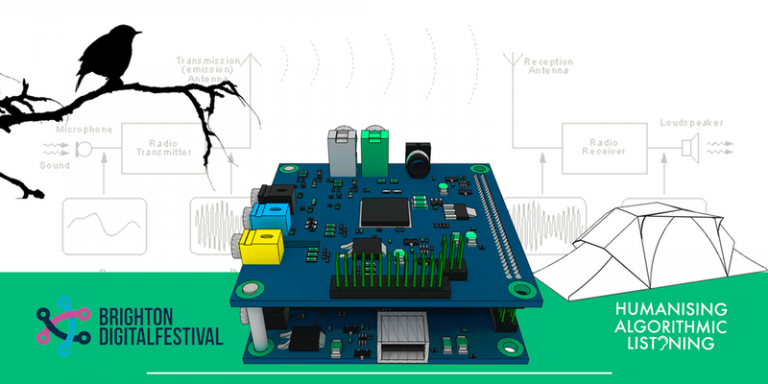 Run by Soundcamp, a group of artist-makers interested in the potential for DIY technologies to connect different locations, spanning rural, urban and hybrid environments, this two hour workshop will centre around making a rugged Raspberry Pi based netradio — or streambox — and DIY microphones. Participants will learn how to download and install open source software, assemble the equipment, and ins and outs of live audio streaming. The workshop will also cover streaming with a mobile phone or laptop. No technical skills are assumed, but workshops will engage the most ardent of tinkerers. Participants will be invited to a soundcamp over the first weekend of May 2018, in which a streambox device will be used to broadcast the dawn chorus from The Living Coast (the Brighton & Lewes Downs UNESCO World Biosphere Region), as part of an international, ecological live streaming event, REVEIL. 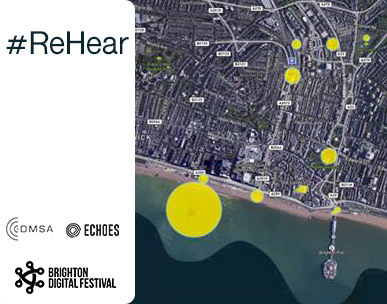 This event is part of the Brighton Digital Festival, organised as part of the Humanising Algorithmic Listening AHRC network, in partnership with The Living Coast. It is kindly supported by Sussex Humanities Lab, University of Sussex and Digital Music and Sound Arts, School of Media, University of Brighton.